Birdie Crush is on its way! Welcome to the Birdie Crush forums! We're about three weeks away from our closed beta test and we'd like to start introducing you to the game. Birdie Crush is a fun, fast-paced golf game with cute characters and unique courses to test the limits of your skills! The main mode of play is Match Mode. In Match Mode, you'll be playing 1v1 one-hole matches against other players from around the world! The lower score at the end of the hole wins. In the event of a tie, you'll play a bonus near-pin hole. Whoever shoots nearest to the hole wins! 1. Tap "Start Match" to begin the matchmaking process and play a match against another user. 2. Tap the "Top 100" button to view the Match Mode Leaderboard. 3. 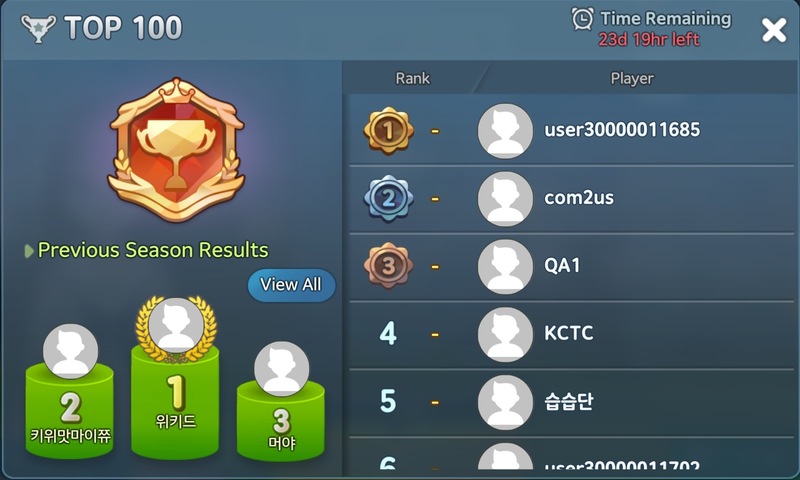 Tap either the rank badge in the center of the screen, or the Season Reward button to view Match Mode Grade info. Also, above the Season Reward button you can view your Match Mode stats and below you can view how much time is left in the current Match Mode Season. 4. Tap the "Change Participating Characters" button to change which character you'd like to play with. For more information on Match Mode gameplay, you'll be given a tutorial when you start playing Birdie Crush! The Top 100 Leaderboard displays the 100 users with the highest Grade. Tap the View All button to see where you are on the Leaderboard. 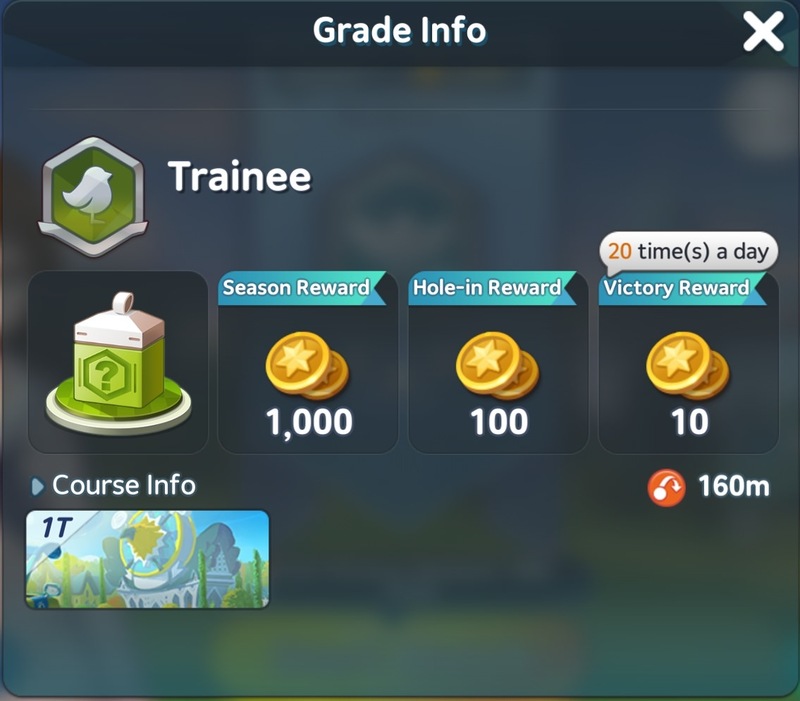 In the Grade Info menu you can scroll to view the Season Rewards, Hole-in Rewards, and Victory Rewards for the various Grades. You can also view which Birdie Box unlocks at that Grade (you'll learn more about Birdie Boxes later). Below "Course Info" you can see which Course(s) will be playable at your Grade. When you tap the Change Participating Characters button, you'll be prompted to select which character you'd like to use. We'll introduce you to the characters at a later time! We hope you'll enjoy playing Birdie Crush.